According to a recent Business Insider report, by 2019, the Internet of Things (IoT) market will be more than twice the size of the tablet, smartphone, PC, connected car and wearable market combined. So much so that the Internet of Things market is expected to add $1.7 trillion in value to the global economy. Needless to say, beacons have played a crucial role in pushing the IoT barrier. In fact Google’s Physical Web project and the accompanying UriBeacon (beacons that transmit URI or Uniform Resource Identifier) specification is an ambitious bet on the future of smart devices, which form a major part of IoT. While the implementation of this project is similar to that of Apple’s iBeacon, the project’s ambitions are far more grand. According to the project’s GitHub page, the main objective of the Physical Web project is to beacon-enable every physical object by extending the core superpower of the web – the URL, to everyday physical objects. In this post, we will discuss about UriBeacon, the security and privacy aspects, and how the standard fares against Apple’s iBeacon. UriBeacons enable an ‘interaction on demand’ service, such that users can just walk up to and interact with any smart device without the need for an intervening mobile app. This way, users for instance, could just stand at a bus terminus and receive the arrival timing of the next bus, without having to download any app. Of recent, Physical Web project has finally begun to take shape, with the release of Blesh, the first Physical Web-compatible bluetooth beacon hardware. UriBeacons use BLE to transmit a basic URL or short weblink that can be detected by nearby smartphones rather than emitting a UUID as in the case of Apple’s iBeacon. Further, on clicking on the link users will be taken to a web page that corresponds to content associated with that beacon. For example, a Coca Cola vending machine, could use UriBeacon to emit the URL of a contest on the Coke website, thus prompting users to click on the link to enter the contest. In order to detect UriBeacons, smartphones must possess a mobile app that works with such beacons. Users of these apps can then choose to either receive notifications when they come in range of beacons operating under the UriBeacon protocol or, choose to scan for beacons when they desire to see those that are within range. 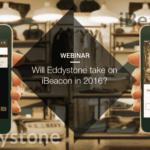 Contrary to popular opinion, UriBeacons are not aimed to replace Apple’s iBeacon. In fact they actually complement each other. Let’s take a deep look at how UriBeacons are different from Apple’s iBeacon. 1. UriBeacons transmit URLs while Apple’s iBeacon transmit unique codes (UUID). 2. A single app intended to detect such beacons can serve all UriBeacons regardless of what brand they are associated with. This is one of the major advantages offered by UriBeacons over Apple’s iBeacon. Particularly because Apple’s iBeacon requires users to download the specific app on their smartphones in order to enable interaction. 3. However, most importantly, both UriBeacon and Apple’s iBeacon serve two entirely different purposes. While UriBeacons are aimed at adding information to objects via a url to a webpage, Apple’s iBeacon serves the purpose of allowing a beacon-enabled app to deliver contextual content to user. Thus, UriBeacons complement Apple’s iBeacon by allowing businesses to leverage beacons without the need to have for a specific app. While it makes sense for successful apps like Facebook, Shazam etc. and huge retail chains like Walmart and Macy’s to invest in their own apps by leveraging beacons, there is a significant percentage of small scale retailers who do not enjoy massive mobile app adoption yet, leave alone leverage beacons. UriBeacon empowers such businesses to enhance consumer experience by bridging the gap between the physical and digital worlds via URL transmission. For example, as in the earlier mentioned example, a coca-cola vending machine could use UriBeacon to send more information about a contest (via URLs) to prompt a user to join the contest online. Another important thing to note is that, many experts are of the opinion that Physical Web will have a stronger presence, as soon as popular digital web publishing tools such as WordPress and Adobe Creative Suite tie up with UriBeacon. 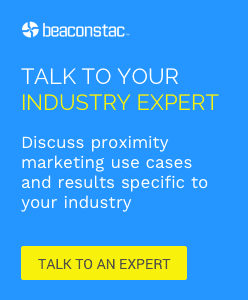 Arguably, UriBeacons are even less of a threat to users’ privacy than iBeacons. For example, iBeacons cannot function without an app. The risky part about apps is that , more the number of apps, higher is the chance of there being a rogue app that abuses information on user’s location and preferences. On the other hand, in the case of UriBeacon, a single centralized browser is used to read all the URIs(Uniform Resource Identifier) being broadcasted to users. This makes it easier to verify if the browser can be trusted. All that is required to be done is to set up a single set of permissions and policies which will define exactly what a given user wants to share with the web pages to which the URI is pointing. If we look at security from the point of view of a beacon owner, there are a number of options to control such as users who gain access to a particular piece of information and resources the URI points to. The owner could constantly change the URL using a sequence that is known to trusted users alone. They could even lock down the network that is hosting the resource, to certain specific devices or IP addresses. Thus, UriBeacon opens up the world of proximity to anyone who can produce a web page. Further, the technology also makes it a lot cheaper to implement all those informational proximity use cases. We hope to soon see businesses use the UriBeacon standard in innovative ways.